Phantom Limb Syndrome occurs when a person has a limb amputated, yet painful and nonpainful sensations can still be felt in the area where the limb used to be. A non-painful sensation will typically cause a person to feel as if the absent limb is experiencing movement, contact with an object, temperature change, or itching. A painful sensation, however, may cause a person to feel sharp, tingling pain as if pins and needles are being thrusted through the amputated area. 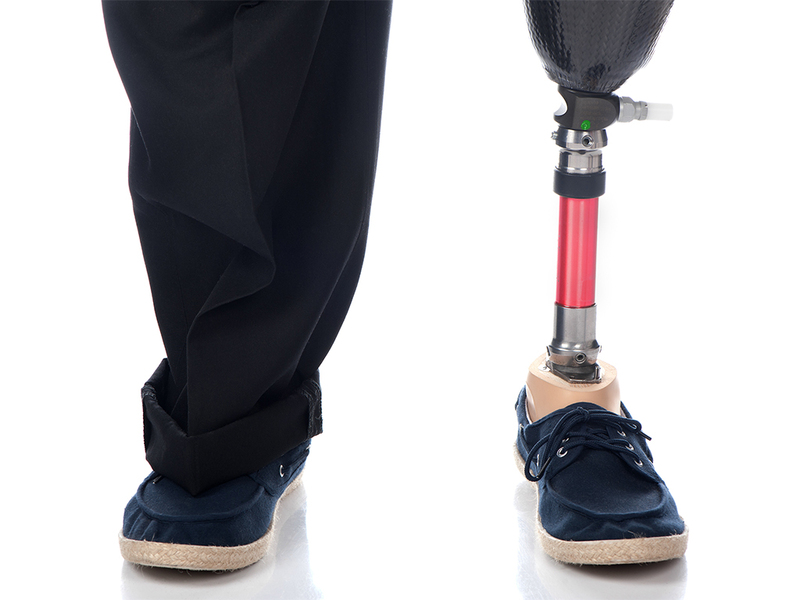 Recent studies have found that 5 to 10 percent of people with amputated limbs will experience Phantom Limb Syndrome at one point following the amputation. Phantom limb syndrome happens when the severed nerve endings are irritated at the amputated area. Depending on your condition, phantom limbs can be successfully treated through peripheral neuropathy treatment at SF Bay Peripheral Neuropathy in San Ramon. If you are suffering from continued pain following an amputation, you may have what is called Phantom Limb Syndrome. Once the pain begins, your first priority should be to schedule an evaluation with a San Ramon chiropractor who understands and specializes in nerve damage. The number to call is (925) 393-0100. At SF Bay Peripheral Neuropathy in San Ramon, we treat many conditions, and there is no reason for your pain to continue after being treated regularly. Our non-invasive approach to pain relief and injury recovery has proved to have very successful results. Phantom Limb Syndrome is a condition that evolves in the area of an amputation where the nerve endings become inflamed and continually send pain signals to the brain, which causes it to interpret these signals as if the limb is present. These signals are giving the impression that the limb is still there and functioning, perhaps feeling as if the limb is resting in an awkward position. Essentially, the sensations that were present in the limb before it was amputated may still be experienced after the limb is gone. Often times, phantom limb syndrome is described as a burning or strange sensation, and it may even become an agonizing chronic pain. Other symptoms include feelings of warmth, coldness, itching, tightness, tingling, and numbness. Phantom limb syndrome may also occur from spinal injuries or peripheral nerve injuries, which may cause other symptoms to arise if not treated properly. This is exactly why the doctors at SF Bay Peripheral Neuropathy should be your first choice in seeking treatment for a condition such as phantom limb syndrome. To learn more about finding treatment for phantom limb syndrome and how SF Bay Peripheral Neuropathy can help you recover, call (925) 393-0100 today to schedule an appointment. How Does SF Bay Peripheral Neuropathy Assess Phantom Limb Syndrome? Don’t let your pain from phantom limb syndrome prevent you from living! SF Bay Peripheral Neuropathy can help. Call (925) 393-0100 to make an appointment today.